ODISHA, India, Feb 21 2019 (IPS) - Failing to understand the Adivasi world view and imposing the dominant development paradigm on Adivasi peoples is affecting their identity and well-being. 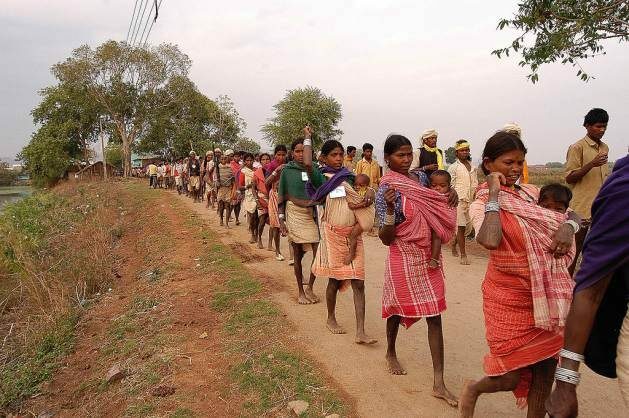 The mainstream development paradigm has aggravated discontent among Adivasi communities. The reasons are not difficult to recognise—it encourages the siege of native resources, drives competition, is surplus-driven, instils private ownership, and consequently, is affecting the cultural identity of Adivasi peoples. Debjeet Sarangi has been involved with Kondh community in Odisha in building narratives of self-reliance that are primary to their way of life. This includes putting in practices and knowledge to reclaim the shared spaces, strengthen internal solidarity within the community, reclaim control over local food systems, and defending cooperative modes of living with humans and nature. He works with Living Farms, a nonprofit organisation in Odisha.